Matthew Thompson is the Helen D. Cohen endowed Professor of Family Medicine and Vice Chair for Research. He completed clinical training as a Family Physician in the USA and the UK, and research training at the University of Washington and a doctorate from the University of Oxford. His research has focused in several areas - diagnostic testing, child health, infectious disease, new technology, and global health. His research has involved many different types of research designs including large cohort studies, qualitative studies, diagnostic accuracy studies, randomized controlled trials, and systematic reviews. He has a particular interest in using new technology to improve diagnosis and monitoring for acute and chronic conditions in primary care. This includes diagnostic studies of new point of care blood tests, better ways of diagnosing and monitoring common conditions such as hypertension or atrial fibrillation, use of clinical prediction rules, as well as understanding better how clinicians make diagnostic reasoning decisions. In child health he has conducted some seminal work to improve knowledge about how we can better identify children presenting in primary care who have a serious illness from the large number who attend with self-limiting conditions. His research in infection has focused on respiratory infections- including identifying which adults and children are most likely to benefit from antibiotics or antivirals, the effectiveness of steroids for sore throats and sinusitis. As Vice Chair for Research in the Department, his vision includes growing the size and scope of the Research Section, working closely with colleagues in the other Sections of the Department on research and scholarship, and increasing research collaborations across the 5-state Washington, Wyoming, Alaska, Montana and Idaho region as well as nationally and internationally. 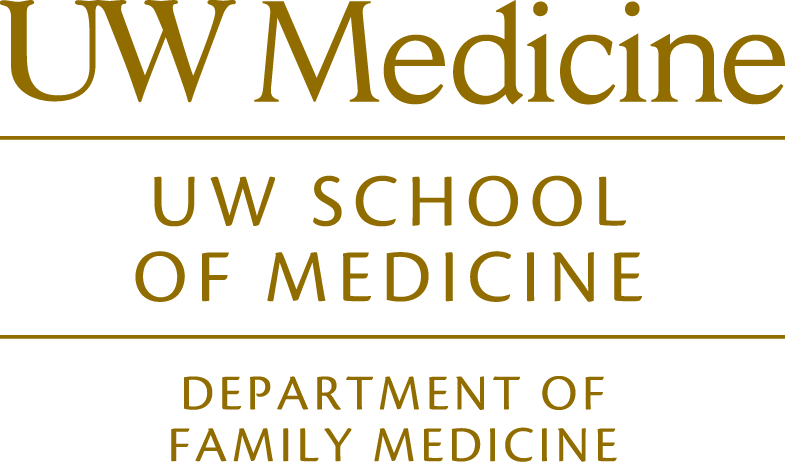 Joint lead of the UW School of Medicine theme on Evidence-Based Medicine/Clinical Epidemiology. Teaches other aspects of primary care/family medicine for students, residents, clinicians and others. He also teaches several clinical areas related to Family Medicine and is a preceptor for the UW Family Medicine Residency Clinic. Use of new technology in primary care settings, including new diagnostic devices, monitoring and mobile health tools. Child health, including diagnosis of serious and common illnesses, use of antibiotics, management of respiratory tract infections. Evidence syntheses and evidence based guideline development and implementation. Primary care of children in low and middle income countries. Improving the diagnosis and treatment options for respiratory tract infections. Management of hypertension in primary care. Patient centered research for standards of outcomes in diagnostic tests. Primary Care Innovations Lab - development & Implementation of New Diagnostic Processes and Technologies in Primary Care. Trial of electronic IMCI and vital signs to improve detection of children with serious illness in Africa. RCT of steroids for treatment of adults with sore throat (Treatment Options without Antibiotics for Sore Throat (TOAST) trial. Implementation of C-reactive protein point of care testing in the management of acute respiratory infections in primary care. Cohort study of adults presenting with suspected lower respiratory tract infection in primary care to determine predictors of hospital admission with pneumonia. Implementation of a blood pressure kiosk in Family Medicine clinics. Diagnostic value of vital signs in children for diagnosing serious infections. Barriers and facilitators to use of point of care testing in family practice clinics. Designing novel lateral flow technology for diagnosis of infections at point of care. 2. Hernandez J, Nicholson BD, Thompson M. Assessing the appropriateness of information on childhood fever in thermometer package leaflets: a systematic audit of thermometers available in the UK. Br J Gen Pract. 2015; 65(635):e366-71. 4. Onakpoya IJ, O'Sullivan J, Thompson MJ, Heneghan CJ. The effect of wind turbine noise on sleep and quality of life: A systematic review and meta-analysis of observational studies. Environment international. 2015; 82:1-9. 6. Fleming S, Atherton H, McCartney D, Hodgkinson J, Greenfield S, Hobbs FD, Mant J, McManus RJ, Thompson M, Ward A, Heneghan C. Self-Screening and Non-Physician Screening for Hypertension in Communities: A Systematic Review. Am J Hypertens. 2015 Mar 23. pii: hpv029. 13. Risk of bias in industry-funded oseltamivir trials: comparison of core reports versus full clinical study reports. Jefferson T, Jones MA, Doshi P, Del Mar CB, Hama R, Thompson MJ, Onakpoya I, Heneghan CJ. BMJ Open. 2014 Sep 30;4(9):e005253. 14. Non-contact infrared thermometers for measuring temperature in children: primary care diagnostic technology update. Wang K, Gill P, Wolstenholme J, Price CP, Heneghan C, Thompson M, Plüddemann A. Br J Gen Pract. 2014 Oct;64(627):e681-3. 23. Neuraminidase inhibitors for preventing and treating influenza in healthy adults and children. Jefferson T, Jones MA, Doshi P, Del Mar CB, Hama R, Thompson MJ, Spencer EA, Onakpoya I, Mahtani KR, Nunan D, Howick J, Heneghan CJ. Cochrane Database Syst Rev. 2014 Apr 10;4:CD008965. doi: 10.1002/14651858.CD008965.pub4. 28. Gaps in the evidence for screening children for hypertension to prevent adult cardiovascular disease-response to the editorial by Samuels and colleagues. Thompson M. J Clin Hypertens (Greenwich). 2014 Jan;16(1):80-1. doi: 10.1111/jch.12229. Epub 2013 Dec 24. 29. Triage tests for identifying atrial fibrillation in primary care: a diagnostic accuracy study comparing single lead ECG and modified BP monitors . Karen Kearley, Mary Selwood, Ann Van den Bruel, Matthew Thompson, David Mant, FD Richard Hobbs, David Fitzmaurice, Carl Heneghan. BMJ Open 2014 May 2;4(5):e004565.